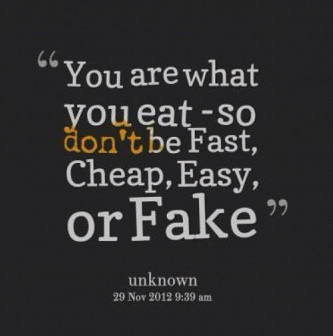 The most important aspect of healthy eating is realizing that it can NOT be a temporary “diet” or “program”. In fact, I would go so far as to recommend avoiding the use of the word diet because of its negative and often misleading connotation. Healthy eating, to be effective, must become part of who you are and what you do, being a reflection of your lifestyle. Another component of healthy eating is the realization that you don’t necessary need to eliminate the “guilt” foods that are unhealthy, but simply learn to listen to your body and moderate consumption of certain things. Your course assignment for this week of LifeZen 1010 is to take inventory for a week of what you are consuming. Write it down daily. This will help you to realize what you need to moderate and what may be causing weight gain, over fatigue, illness, and other health problems. Please refer to Basic Nutrition 1010 (Received in Week 11), which gives you a guide to what nutrients and minerals your body needs and what types of foods and supplements you need to concentrated on implementing into your healthy eating plan. Start by focusing on that one vice that you know is holding you back. Maybe you have to have your daily soda (or hourly!) Eliminate or reduce your consumption of this and note how much better you feel. Then you will be well on your way one step at a time! O - Print off and complete your Weekly Food Journal. O - Tell a friend about LIFE 1010! Think of all the people you love that can benefit from this program.